After spending nearly two weeks visiting ancient Roman sites earlier this year, I was amazed at some of the advances changes in technology the Romans were making in the first and second centuries. 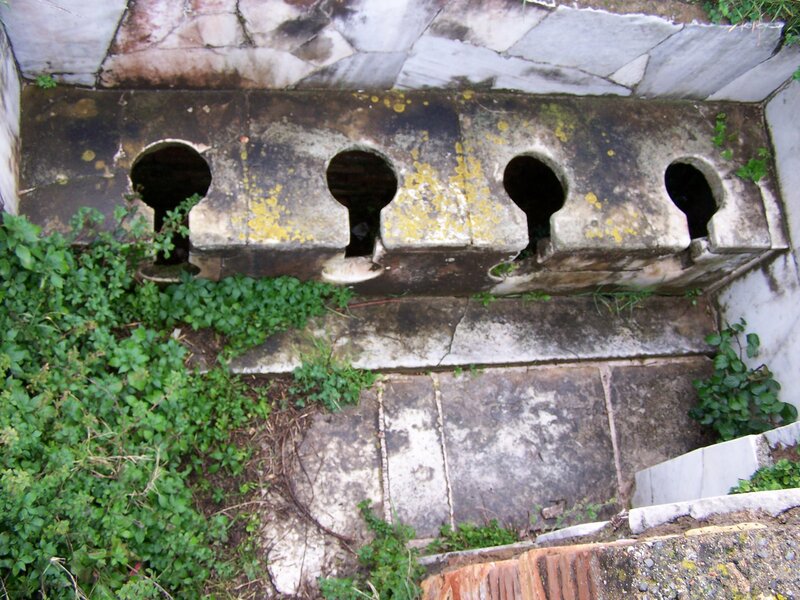 One structure that was beginning to become more common was the public latrine. As the following picture reveals, such a structure could seat quite a few people. 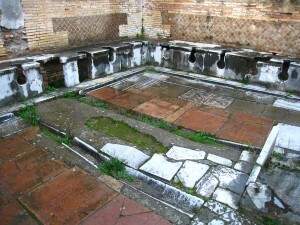 Uniform seats similar to today’s toilets (see picture below for an interesting view). A trough underneath the seats for ‘flushing’. 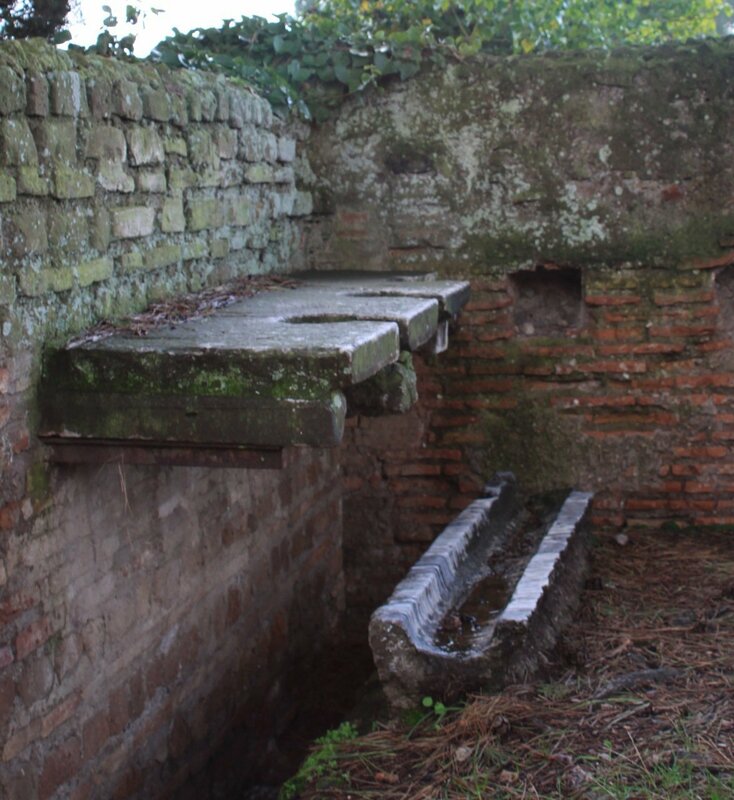 A trench in front of the seats (likely for washing the ‘sponge stick’–see below). 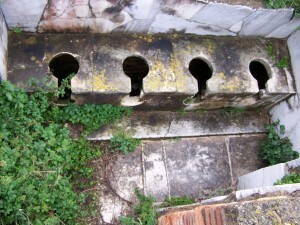 Remains of marble tiles (indicating the potential expense of a public latrine). Well, at least the ‘toilet paper’ received a washing before the next person used it! Beyond this, such study of ancient daily life helps us paint an accurate picture of the world in which (and in part, to which) the New Testament was written. *Koloski-Ostrow, Ann Olga. 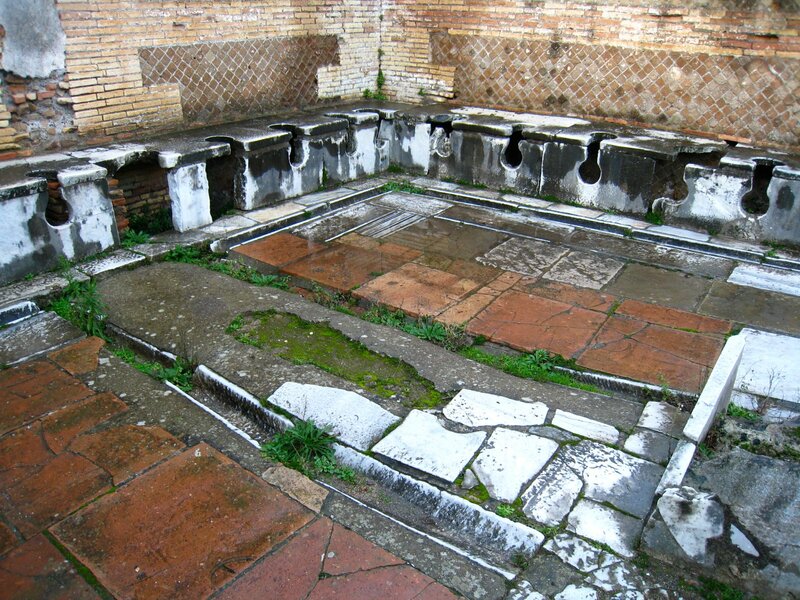 “Roman Latrines.” Archaeology Odyssey 7, no. 3 (May/June 2004). ← Why study vocab? …context. thank you for writing this since I doing my homework about romans and I needed something about roman toilets!!!! !I am very interested in this sort of stuff. Are there any people whose job it was to empty or clean public toilets? I need to know for my homework. Do you know what they were called? I assume that someone was responsible for supplying the sponge stick, replacing it, and perhaps maintaining the facility. I do not know for certain if this responsibility fell to a particular person whose sole job it was do such things, or whether it may been one of many responsibilities of someone. What you need to do if you can’t find the answer out in sources on the subject is try to contact the woman I mention in the post who specializes in the area and ask her to help you with the question. Don’t only ask her to give you the answer, but ask her to also help point you to a source for your information. Happy researching. Feel free to post back if you get an answer.